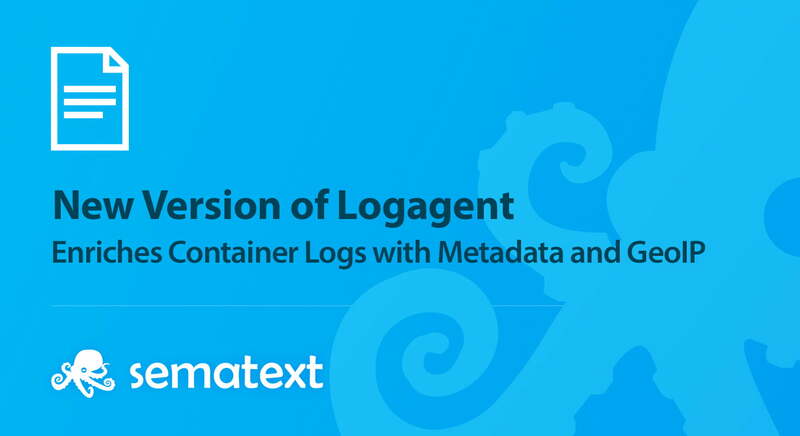 Logagent is a modern, open-source, light-weight data shipper with out of the box and extensible log parsing, on-disk buffering, secure transport and bulk indexing to Elasticsearch and Sematext Cloud. Its low memory footprint and low CPU overhead make it suitable for deploying on edge nodes and devices, while its ability to parse and structure logs makes it a great Logstash alternative. Logagent has numerous plugins, including container log collectors. The new version of Logagent enriches container logs with metadata from Kubernetes, Docker Enterprise metadata, and adds GeoIP information to server logs. It auto-detects a number of standard log formats such as JSON, Apache, Nginx, Solr, Elasticsearch, MySQL, Kafka, Cassandra, MongoDB, etc. The built-in parser is capable of auto-detecting log formats and structuring them automatically. New and custom log formats can be defined as well. The containerized version of Logagent is available via Docker Hub and is pre-configured to collect, enrich, and ship logs in a secure and reliable way. This makes it easy to deploy Logagent to Docker Enterprise. Both Kubernetes and Docker Swarm orchestrations are supported. Deployment and configuration options are described in Logagent documentation.